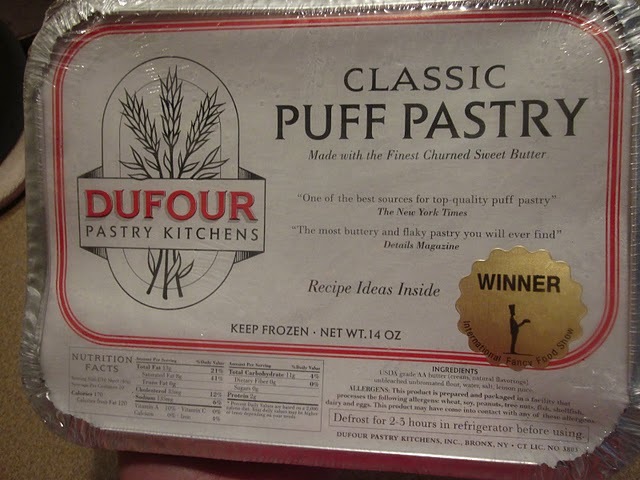 *Note: You can use any brand of puff pastry, but I highly recommend Dufour, which is the standard in the culinary industry. I’m not sure if you can see the gold sticker, but this product was a WINNER at the “International Fancy Food Show”… if that isn’t a glowing endorsement, I’m not sure what is! This brand will set you back around $8, but it’s worth the splurge – it’s what will elevate this dessert from tasty to extraordinary. Allow your puff pastry to thaw in the refrigerator for 2-3 hours or overnight. Mix your cornstarch slurry and set aside. Bring berries, sugar, water, and lemon juice to a boil in a medium saucepot. Once the berries begin to explode and the mixture looks nice and juicy, dump the cornstarch slurry into the pot. Boil the filling for at least 2 minutes. The mixture should look thick and luxurious. Taste with a spoon to be sure the starchy flavor has cooked out. If the filling leaves a weird feeling in your mouth (like eating a raw potato), let it boil for a bit longer. Remove the pan from heat and allow to cool to room temp while you get your pastry ready. Stir occasionally. Using a pizza wheel cutter, cut the pastry into your desired shapes. Rectangles will fold up into pop tart-like shapes, squares will be triangles. Move a pastry square/rectangle onto a parchment or silpat-lined cookie sheet. Plop a spoonful of delicious filling onto half the pastry. 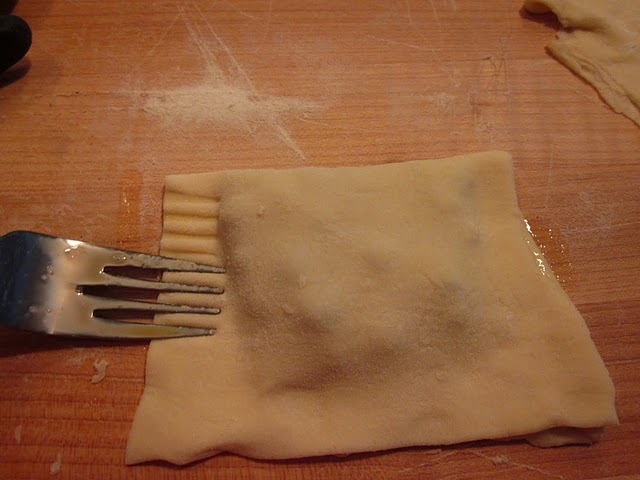 Moisten the edges of the pastry with water and press to seal it. I like to use a fork for some rustic-looking crimps. 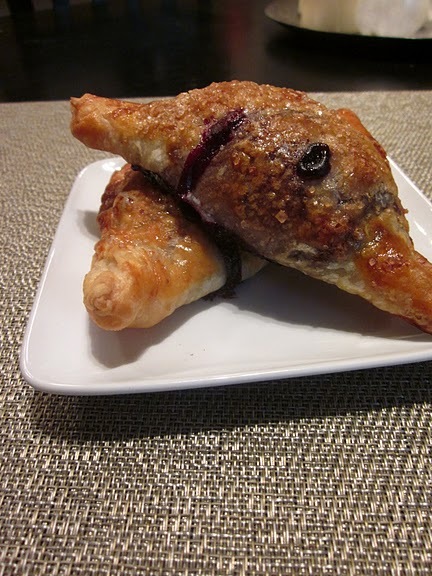 Cut some steam vents in the tops of your pastry. If you forget to do this, blueberries will explode out of the sides of your mini-pies and get all over the inside walls of your oven. I may or may not be speaking from experience. SUPER SECRET TIP FOR SUCCESS: Chill the pastries for 30 minutes to overnight (if you’re chilling them for more than a few hours, cover with plastic wrap). The colder your puff pastry, the flakier it will be. Make an egg wash (whisk up one egg with a bit of water). Brush the tops of the pastry with the egg wash and then sprinkle some turbinado sugar (aka sugar in the raw) on top of the pies. You could also use regular sugar, but raw sugar is sparkly and delicious. Bake the pies for 30-40 minutes depending on the size. You’ll know they are done when both the tops and the bottom of the pastry are a deep golden brown. Let the pies cool before serving or your guest will have blueberry lava burns throughout their digestive tract. The convenient thing about chilling the pies is that you can prepare before a barbecue, pop them in the fridge, and then put them in the oven as soon as your dinner is served. Voila! Fresh baked hand pies. 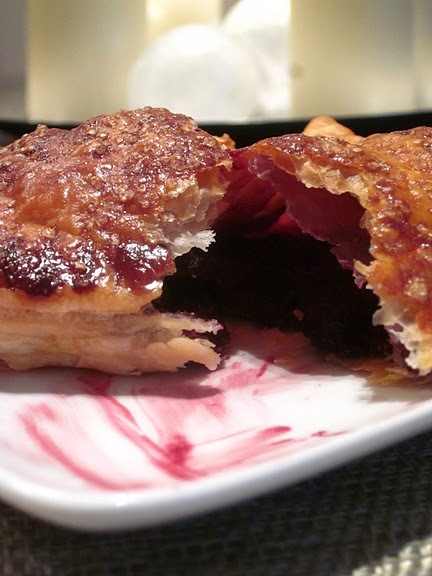 These pies are also delicious the next morning, served room temperature as a breakfast pastry. Bon appétit! That’s actually why we add the slurry of cornstarch and water mixed together. It helps soak up the excess moisture from the filling. I’ll have MK edit the original recipe. When it refers to water in step number three, how much do I put in? I don’t think it’s in the ingredient list. Thanks!